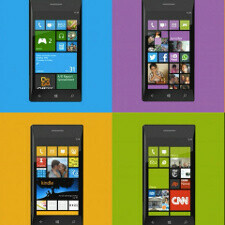 Windows Phone 8 is here and it’s been here for a couple of weeks now. This means that users have had some time to really dive deeper into the ecosystem, and as that is happening complaints are mounting that Microsoft’s platform reboots randomly and a lot of folks are having battery issues. The issues are mostly reported on the HTC Windows Phone 8X and the Nokia Lumia 920, so it seems that we are not dealing with problems with a particular handset, but rather with the platform. The most common complaint is that the system would randomly freeze and reboot. The frequency of those reboots varies, but some users complain it happens once nearly every day. Devices would also freeze randomly. The other grievance is about a quickly draining battery. Now, it’s interesting to hear from you, our users, whether you have experienced any of those issues on your Windows Phone 8 device? We’ll keep an eye about a possible solution, and let you know when Microsoft patches this. Google Now, Google Voice sure (but bing search is there by voice), but Notification center while needed isn't as big a need. With smaller tiles, your home screen is the notification center. I'm sure it's coming, but it's not like everyone is dying without it and can last till it comes in the next update I suppose. I see it differently, I think WP8 needs Android like notification center more than anything else. Your phone now acts like your personal assistant and it must organise your information for you. Live tiles look nice but they keep information separately in each tile so it will take you a lot of time to read all those notifications and if you have many notifications it will be very frustrating experience. There are apps that do not have live tiles so their notifications will be lost. On the other hand you can't control the available notifications like blocking those you don't need, and you cannot act on them like delete or access the information. I think MS realize that and they are scrambling to build that feature, but this can be too late as MS is very slow company and competition will not stop and wait for MS.
WHY..? is "notification center" an issue. 4 small one tiles on top PHONE - Email - Facebook - Twitter FULL BAR Messages 4 small tiles underneath Wife-Daughter-Son-Son Last I checked that's a Notification center a better one than Google personally. For one.....the notification center, shade on Android (and now iOS) is available on every home screen. (dont know about iOS) Pull down and its there. Even the lock screen. (dont know about iOS) To me thats better. Its available just about everywhere. (dont know about iOS) The Live Tiles is more like widgets. Which is fine, I dont like the whole uniform look of the Live Tiles. Meant to say I just dont like the whole uniform look of Live Tiles. An Android-like notification center would most likely get WP into patent problems with Google. It is only a matter of time before Google's application for its Notification center patent issues (it may have already issued). MS isn't stupid, so if using tiles as an analogy for a Notification center won't work, plan on waiting a while for anything like what Android offers. Why does the lack of google services in a Microsoft phone make it a deal breake?? Get a google phone. Apple got quite a few complaints over Siri when the 4S was released. When their arrogance reached we heights over iMaps, they got slammed. The problems kept coming though, and we are now at release 6.0.1 with 6.1 beta released to developers for testing. I wonder how long until there is an .0.1 version of WP8? It is, but I was replying to tiger's post. My reply draws from the iOS experience and extrapolates a probable scenario (.0.1release) for WP8. funny, the only time android was brought up....was when you did it..... reading comprehension is a great thing you know. errr....you posted " see from the comment......" That signifies one. Since you reasoned to Doug's post, most ppl woulda thought you meant Doug's post you replied to. And if you meant his earlier post....how is that a promotion for Android? ..
Ballmer and elop better fix this fast. My ignorance? As a previous winmo user I would argue that freezes, reboots and battery drains have been pretty consistent with MS phone OS's for years. Seems they can change the code but not the flaws. your lack of facts to back up your statement is a reflection of your own ignorance. as if you have backed up your first comment with facts... :D sit down kid, you're not that smart. :D i'm a wp7 user for 1,5 years now and only had like 3 random reboots and 1 freeze, no battery drains at all (runs at least 1,5 days with average use) and that's it. i did not use winmo, but i could care less about it, since it is dead. i bet you have never used a current windows phone device to back that crap up you are saying about the platform. come again maybe? I lol'd. You probably never used winmo because it didn't ship on the fisher price toys you were playing with when I started using mobile handsets. and you are the one who raged about "lack of facts" yesterday... hmm... now that you can't come up with anything reasonable, you're going to try and insult me instead? :D good job dork, grow up and try again. your supposed age and number of mobile devices used seems to be inversely proportional to how smart you really are. some people are trapped in past... Windows NT is a brand new windows kernel, so some bugs may appear, despite some issues windows phone 8 is one of the faster and fluid OS to date, I had the opportunity to play around with my cousin's Lumia 920 and it crushed my brother's iPhone 5 in every aspect, try new experiences buddy! Wow, I hate those guys from theverge.